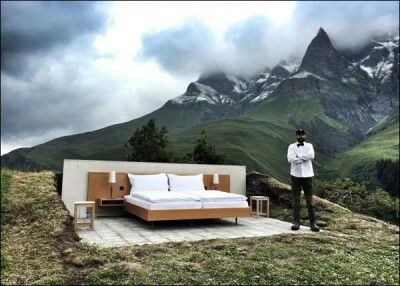 The cost of spending one night in an open air hotel in Switzerland at the height of 6,000 feet is PKR 27,000. 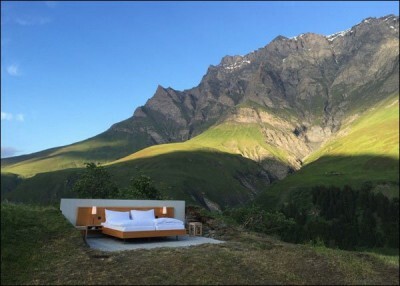 You may have seen several beautiful luxury hotels of unique design in the world but there is such a unique hotel in Switzerland where there is neither any wall nor roof. 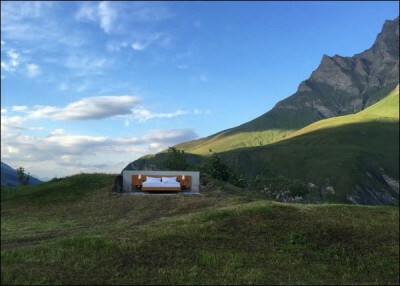 This hotel, built on 6,000 feet height on the mountains of Switzerland, is open air where there are just two lamps for light and one bed to sleep. The people coming to stay in this hotel, Null Stern, are served with sandwich for dinner and coffee for breakfast. Due to bad weather, the booking of interested people can be cancelled at the last time also. The rent of staying one night in this hotel is 250 Swiss Francs which is around PKR 27,000.